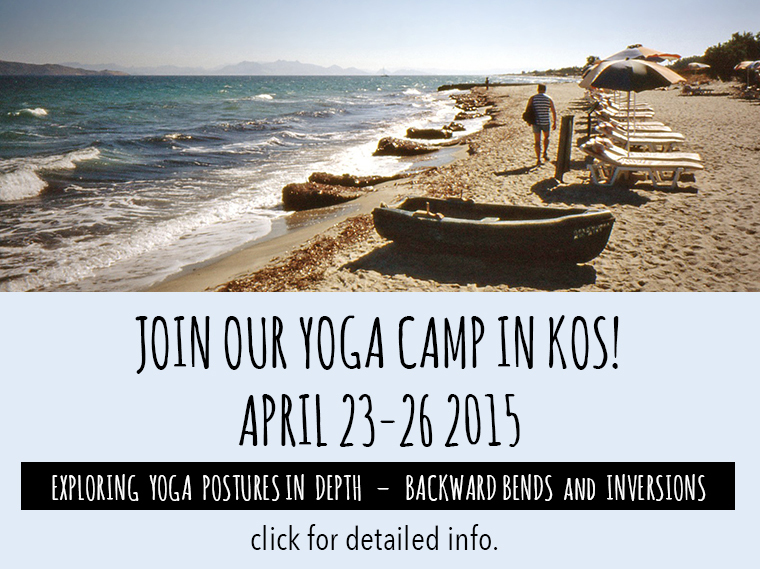 In this profound workshop you will get a deeper insight on the benefits of yoga inversions. Practicing inverted is special and different from other physical disciplines, because it allows you to see things from an alternate perspective. Unlike many poses, when standing inverted on your head or on your shoulders, you are being still and become very present in the moment. Inversions stimulate the immune and endocrine systems, thereby invigorating and nourishing the brain and organs. When done correctly, inversions also release tension in the neck and spine. 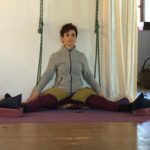 Monika will teach you how everyone can practice inversion and derive benefits from it. Insights on anatomy and physiology will be given, as well as methods and techniques of how to adapt for individual needs. To attend this workshop you must have been practicing yoga for at least 2 years. Restorative yoga is increasingly gaining popularity because people find relief through it. 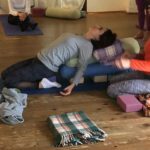 In this training Monika will teach methods and techniques of how to practice and teach restorative poses according to individual needs. It is so important to understand how to support troubled areas in the body, so that they can relax. The bodily system is then able to self-regulate and to find its own natural rhythm. This is when restoring and recovery takes place. Times of change can be demanding for a woman and it is gratifying to know that our yoga practice offers help and comfort during these changing times. 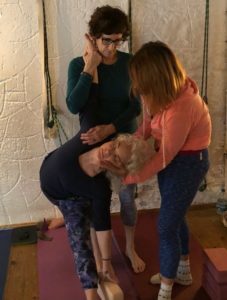 This workshop covers theoretical and practical aspects of how to handle menopause that will be beneficial to both students and yoga teachers alike. 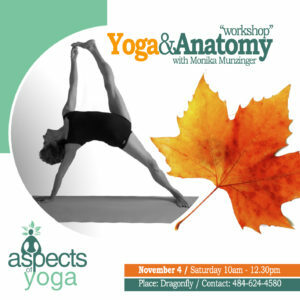 LEARN MOTE ABOUT THE ANATOMY OF THE BODY TO BETTER UNDERSTAND SAFE ALIGNMENT IN YOGA POSES. PICK UP IN-DEPTH KNOWLEDGE TO DEEPEN YOUR PRACTICE AND TO EVEN OUT IMBALANCES IN YOUR BODY. In this workshop I will introduce therapeutic aspects of yoga: how to modify asanas for specific conditions and problems, how to stabilize and relax the mind through restorative yoga and I will cover some philosophical and spiritual topics. 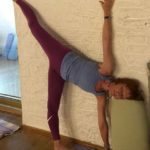 The workshop will focus on backward bends and inversions and how to bring proper balance into our movements in order to stabilize weak areas and free restricted areas. We will then proceed into more challenging poses. This workshop is great for yoga teachers and practitioners!